Here are some more items from the EMC archives. 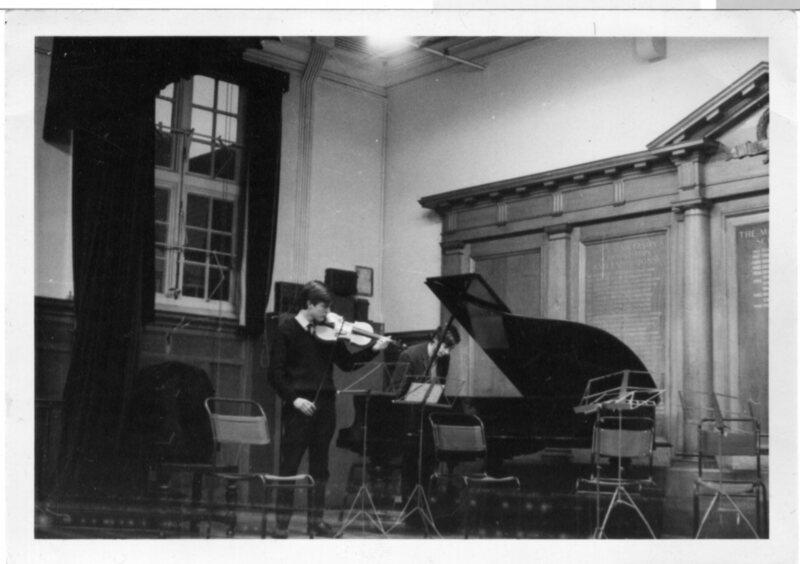 The two pictures are from a meeting of the Northwood New Music Society in 1967. 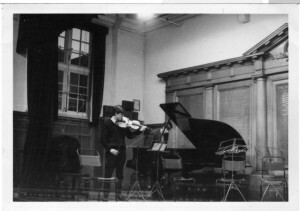 The first picture shows Alan Cutts, viola, and Christopher Hobbs, piano. 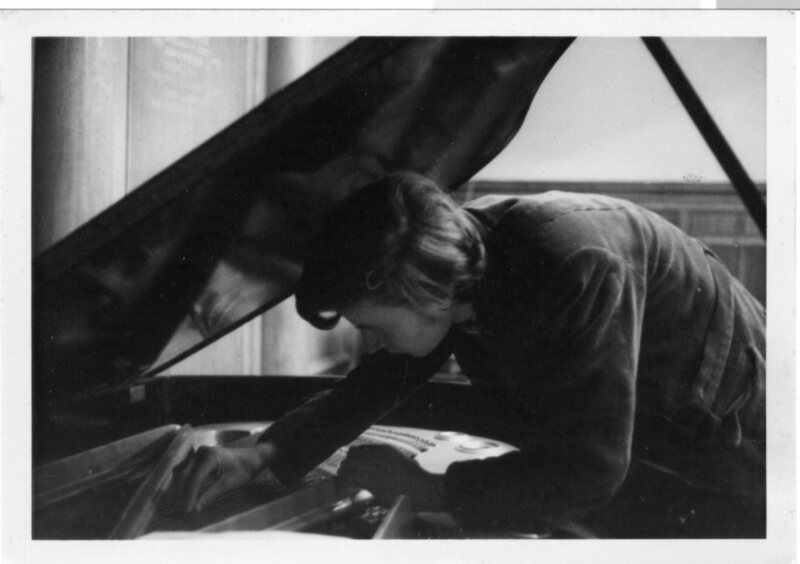 The second shows Hobbs (then 16) working on preparations inside the piano. What were Hobbs and Cutts playing? Was the duo picture of a different piece than the preparations picture? We’re not sure. In the second picture, are you sure he wasn’t just checking the spark plugs? Just giving it a little tune-up, Paul!